Portable chargers are one of the best things to have on hand, especially when you’re out around the town or you’re traveling. 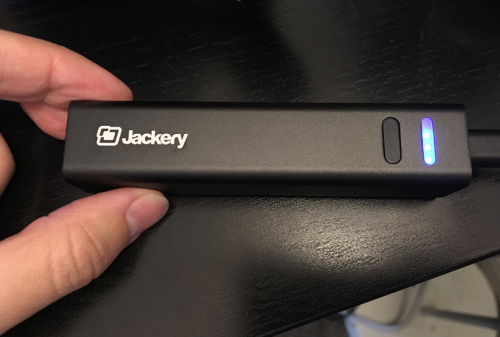 The problem with a lot of them is that they’re bulky and inconvenient to carry around, which is why I was happy to review this small charger from Jackery. Overall, it doesn’t have the biggest amount of a charge (about a charge and a half worth). However, considering how easy it is to transport it makes it a solid option. 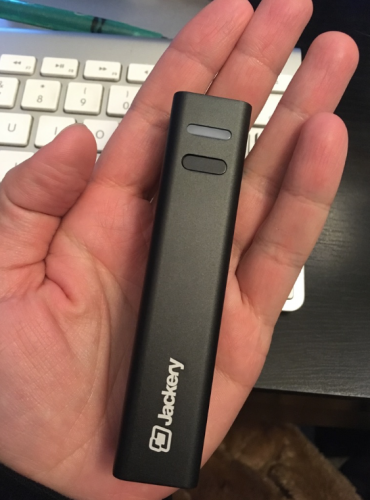 This small charger from Jackery is about the size of a lipstick. 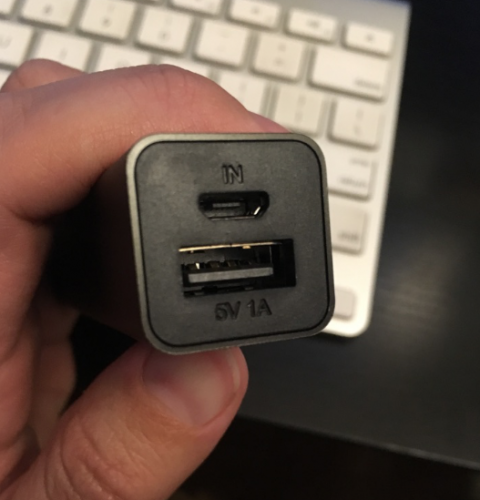 It’s compatible with basically every device that uses a USB cord to charge. The small size of it makes it a really great option to carry around, which makes it a great option. It’s sturdy and feels well put together since the case is made out of aluminum. That makes it sturdy and easier to carry around without worrying about hurting it. 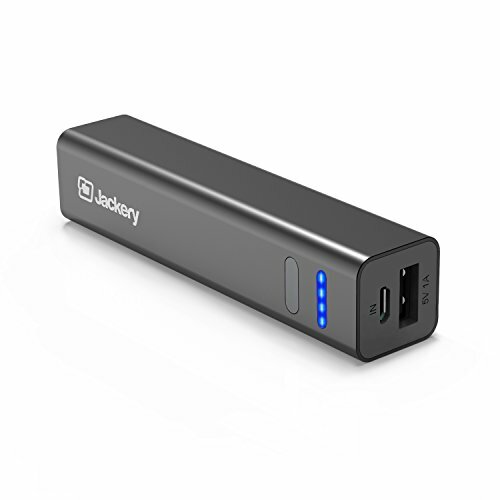 The 3350mAh rechargeable battery in the Jackery portable charger will give your phone about one full charge. It took about an hour and a half to get my iPhone SE from 30% to 100% with a little bit left over. On average, it gets about 1.5 charges, which I have found to be about the perfect amount I need at any given time. The charger itself only takes about an hour to fully charge and then it’s ready to go anywhere. 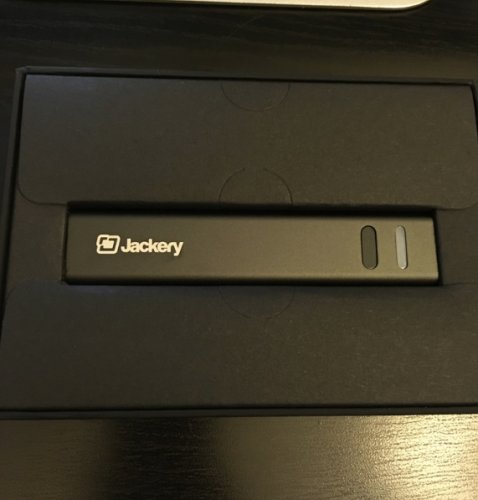 It also has built-in overcharge and over-discharge protection and also has incorrect charger protection, all of which work to keep your devices safe. Some reviewers have said that after time it appears to stop working, but they don’t realize that you need to hold the power button until your device says it’s starting to charge in order to activate it. Compatible with Samsung: Galaxy S7, Galaxy S6, Galaxy S5. iPhone: 7, 6, 6s, 5s. (Apple Lightning Charging Cable not included). Disclaimer: I received this product at a discount for the purposes of testing it and reviewing it. All opinions expressed are truthful and 100% my own. Jackie is a writer out of Denver, Colorado with a never-ending passion for good TV shows, gadgets, and old-school video games. Compensation Area of Interest	I've been writing articles online for over 8 years, but I'd like to start getting into the review world. I love, love, love TV shows and gadgets. Copywriter. Lover of good stories. Long live the Oxford Comma.